The asphaltic properties often degrade due to numerous factors, including wear & tear, overuse, harsh weather, and sun. Continuous maintenance is required to nullify the effect of these elements. To avoid or prolong expensive replacements after years of usage, property owners rely on sealcoating. This is where Paving Professionals, Inc. takes charge. 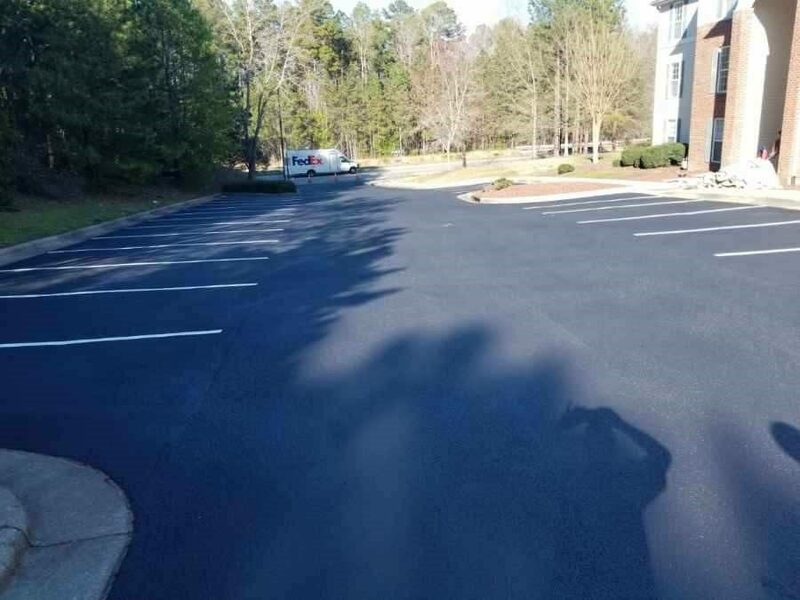 This sealcoating contractor from Raleigh, North Carolina has become renowned for maintenance of commercial and residential asphalt. Let’s discuss different aspects of sealcoating in detail. Sealcoating, or pavement sealing, is the process of applying a protective coating to asphalt-based pavements to provide a layer of protection from the elements of freeze and thaw cycle, water, oils, and U.V. damage. 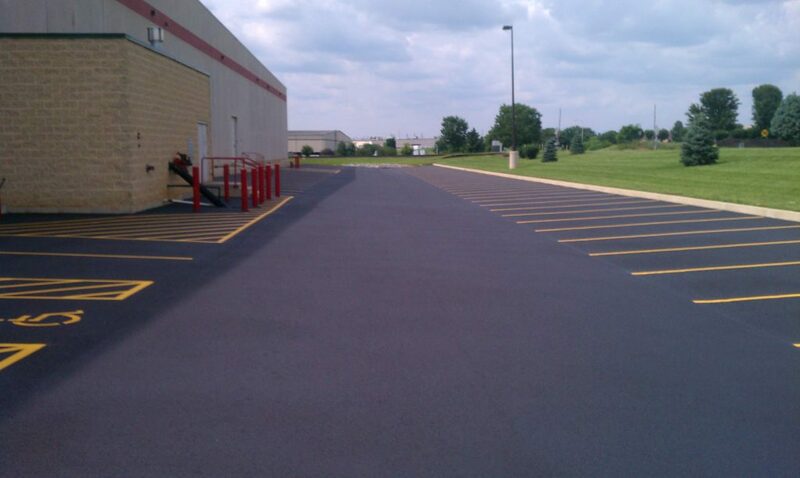 Sealcoating slows down the oxidation process, fills and seals small cracks and increases the life span of the asphalt. Sealcoating acts as a waterproofing agent, minimizing the rate at which water enters the asphalt. Sealcoating is aesthetically pleasing and improves the property value and the curb appeal of your property. Paving Professionals uses the highest quality sealer available. 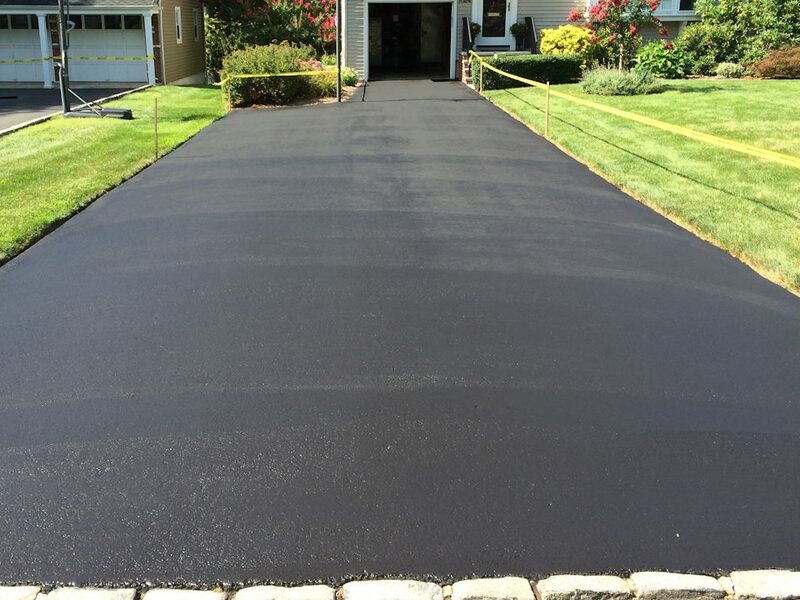 We use Black Diamond XL asphalt sealer which is a new, high performance alternative to asphalt emulsion (AE) sealer and refined tar sealer. Black Diamond is a premium heavy-duty, superior performance, polymer-modified petroleum-based emulsion pavement sealer, containing a high molecular weight polymer that has been cross-linked with the base to enhance durability, adhesion, elastic, and wear resistance. Black Diamond exceeds asphalt emulsion (AE) performance with longer durability, increased toughness against power steering marks, and has a richer darker finish. Black Diamond sealer is fuel resistance, durable and lasts longer than emulsion tar sealer products. Let Paving Professionals, Inc show you why we are regarded as the best sealcoating and striping company in Raleigh. You can contact Paving Professionals in Raleigh, North Carolina between one and two years of pavement installation. In general, sealcoating of pavements and driveways is recommended every two years based on the aging of the asphalt. It also depends on the conditions of the pavement and traffic. To ensure the chemical sets and cures properly, the area needs to be protected for a minimum of 24 hours after application. Paving Professionals uses Black Diamond sealer because of its longer lasting durability, increased toughness against power steering marks, and has a richer darker finish. We have already discussed how this process protects the driveways from external elements like moisture, chemicals, and salts. 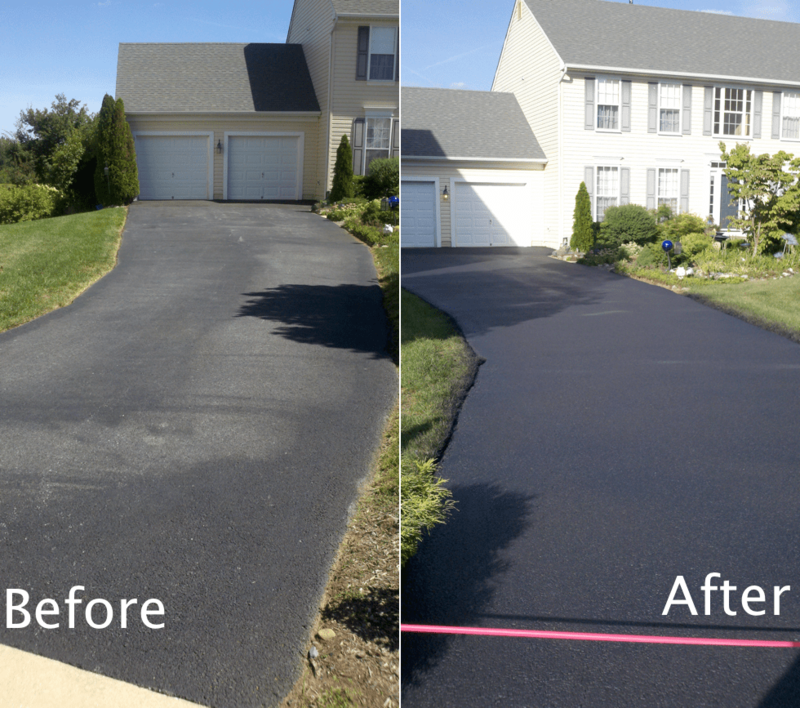 Another benefit is that scars and patches on the driveway aren’t visible anymore. Those who sealcoat their parking lot and driveway can expect longer lives of these two areas. The emulsions can be applied easily by spraying or using squeegees. The team utilizes quality equipment and superior quality materials for this purpose.